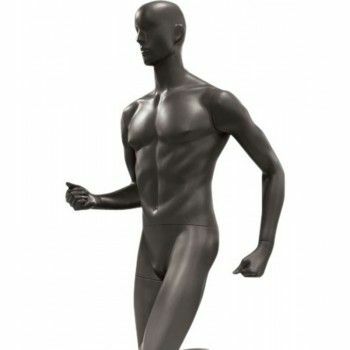 This abstract mannequin is a mannequin man sport. His body movement is dedicated to running. This mannequin is a great value for sports collections. It will bring dynamism to your showcase. This man mannequin slightly drawn facial features; it brings him a lot of personality. 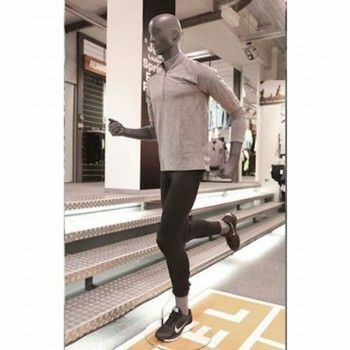 This man mannequin is supplied with round glass base that attaches to the calf. 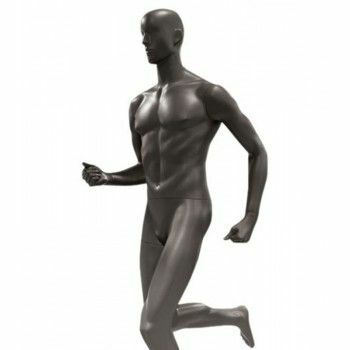 This beautiful mannequin display sports man has a fixation in the calf with a round glass base. This window sport is ideal for sports as running, trail.